Crispy around the edges, me. The last few days have been busy ones, and accordingly, here’s a few shots without too much accompanying folderol or explanations. This last weekend saw me do two tours, a late afternoon walk in LIC on Saturday and the all day 100% Toxic Newtown Creekathon on Sunday. Having walked something close to 18 miles during the last 48 hours, whilst shouting out narration, I’m plain old pooped today. 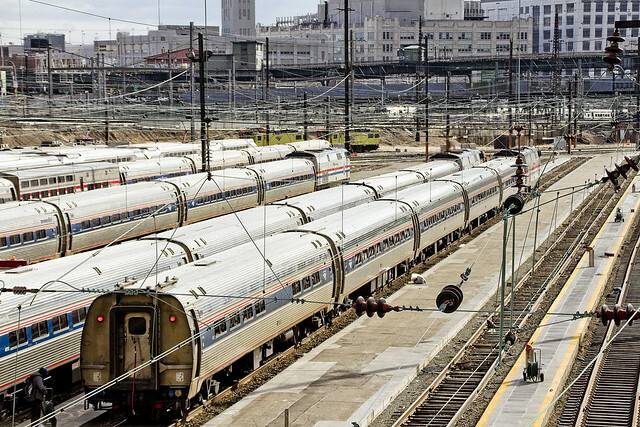 Pictured above, the Sunnyside Yards. Luckily, my colleague from Newtown Creek Alliance – Will Elkins – and I managed to bring the Creekathon to a close yesterday well before it started raining, so there’s that. Unluckily, I haven’t been too busy with the camera this last week due to the cold and wind and rain, so that side of my psyche is quite unfulfilled. 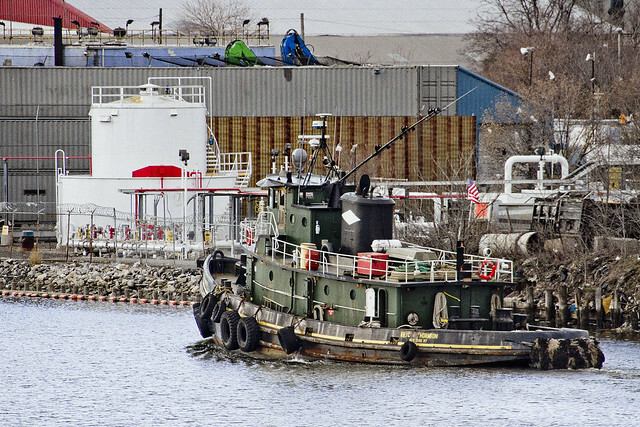 Pictured above, a Thornton Tug on Newtown Creek. Looking forward to the middle of this week, a humble narrator is. The weather should be on my side, and I’m making a few plans to get out at night with the tripod and night kit. 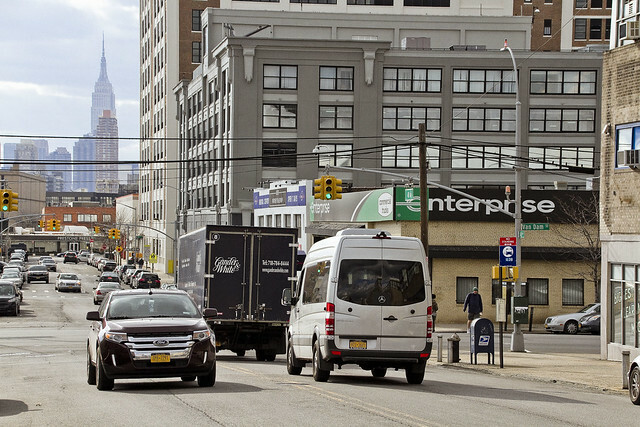 Pictured above, the instersection of Van Dam Street and 49th avenue in LIC.